May you see blessings all through the day! 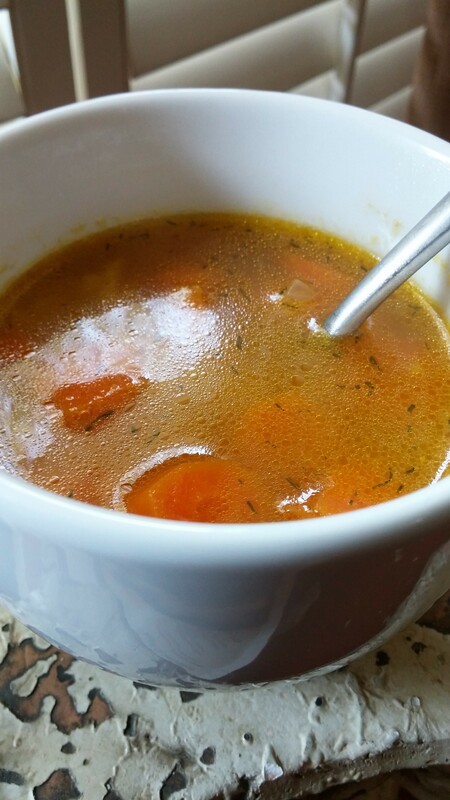 I have created several soup recipes, love soup! 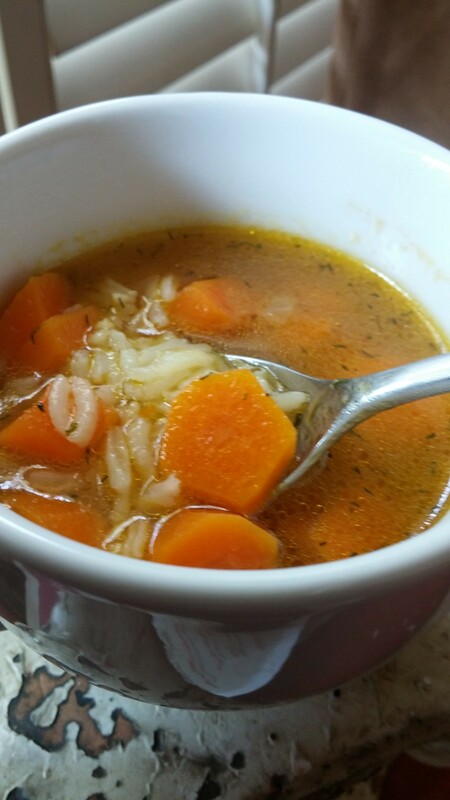 This soup can be put together quickly! Paired with a salad and a sandwich and you have a great weeknight meal! It also makes a wonderful after school snack! Soup isn’t just for winter time! It is comforting and soothing! ENJOY! Heat the olive oil in a stockpot. Add in the carrots, onion, garlic and ginger. Saute for 8 to 10 minutes. Then add the stock, water. and spices Bring to a boil and simmer on a low boil for 10 minutes. Then add in the cooked rice and a squeeze of lemon juice. Heat until warm. MMM Good!